I’ve been dressing my kids for 8.5 years now (plus a few weeks if you want to be exact) and I think I’ve gained some good ways to save on their clothes. I acknowledge that these ideas are not completely unique, but I know any insight on this topic is usually welcome! Buy What You Need. I must admit this isn’t so easy for me! There are certain clothes items I can’t resist and over time I realized I was buying too many dresses for Gabbie, collared polo shirts (non-school colored) for the boys, and basically too many nice outfits that they only really wear once per week outside of the fall and spring holidays. Now I try very hard to stick to just a few nice outfits each. Also, my older kids wear uniforms to school. So they only really nice play clothes for Sundays (Saturday they wear their nice outfits!) and breaks. So Zachary doesn’t need 10+ long sleeved shirts! What he does need is uniform pants, which he tends to rip holes in quite quickly. Which brings me to my next point. Have Price Points. Like I said, Zachary tears holes in the knees of his school pants. So I really don’t want to spend more than $10 for a pair of pants I’m going to have to replace anyway. (Land’s End pants are guaranteed and they will replace them for wear and tear, but I haven’t taken the plunge into putting in a lot of money up front for their pants!) I normally don’t like to spend more than $10 for any one piece of clothing, besides maybe a dress, which takes the place of a top and a bottom. Of course, this price point also depends on where I’m shopping. Read on. Consignment Sales. When I was pregnant with Zachary, I was visiting a friend in Florida who was big into consignment shops and brought me to her favorites. I went a little overboard buying a ton of adorable baby clothes for him. After that, I was introduced to consignment sales – where tons of sellers get together and sell kids’ clothes at greatly reduced prices. Here in the Kansas City area, there are multiple large consignment sales that take place each season. I remember the first time I went to one, I just grabbed up all the Gymboree clothes I could find in my kids’ sizes and bought them all. Going back to point number one – they ended up with more than they needed. Now, I try to go to consignment sales with a very clear idea of what I need, as well as how much I want to spend. For example, Zachary needs uniform pants, like I said above. I prefer to spend less than $5 on a gently used pair of pants, and if it’s a brand like Circo from Target, I prefer to spend even less. Since the sellers price their own clothes for sale, there is a wide range of prices on the items. At the last sale I went to, there were many adorable Janie and Jack outfits for sale, priced between $28 and $36 dollars. Since I most likely wouldn’t spend that much on clothes new, I definitely wouldn’t spend that much on them gently used. At the same sale, I was able to find a few pairs of play pants for Simon at $2-3 each. That is definitely worth it to me, if they are in good condition. I also sell in consignment sales now, which makes me feel better about spending at them! (Others have good luck at yard sales, thrift shops, and online sales like the new popular thing – instagram shops – and I would address these the same way. Buy what you need at a price you like if the clothes are in good condition). Gymboree Sales. There was a point that I would only dress my kids in clothes from Gymboree, most of which I bought at consignment sales or online in Gymboree groups. I’ve started to branch out a little more, allowing in brands which I know fit them and that I like well enough. However, I still love Gymboree and will buy their clothes whenever I can. However, I will never spend full price on their clothes. Last week was the yearly $16.99 sale at Gymboree, and I was able to buy Gabbie a dress that regularly costs $44.95 (and even now is marked $31.47). With a 20% off coupon and the $16.99 sale, the dress was what I’d consider a good price. However, I would not spend $16.99 on pants for Zachary or Simon, even with a coupon! I did recently bought Simon a pack of underwear at Gymboree. I asked the associate for a pack that was on sale, and used a coupon. You can find coupons in Family Fun and Parenting / Parents magazines. End of Season Sales. 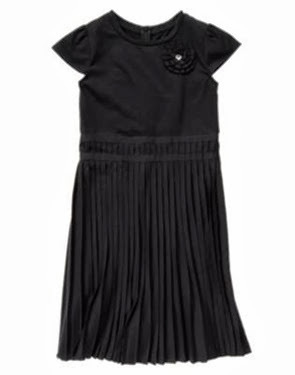 Speaking of Gymboree, at the same time that I got the above dress, they were selling their summer clothes for $3.99. So I got Simon 3 pairs of shorts for next summer. I am not always great about buying ahead a season, but this time I thought it was worth it! I also tend to buy Gabbie’s dresses at a slightly bigger size than she might need now, in order that they fit for more than one season. 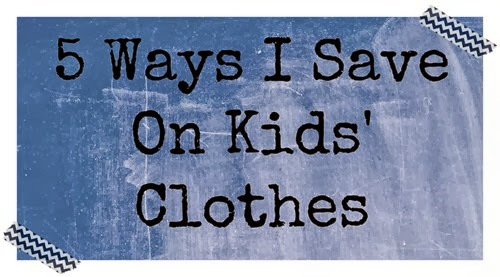 Ok, now that I’ve shared my 5 tips for saving money on kids’ clothes, give me your tips in the comments! And read on to meet my blog friend Holly! Holly and I met each other through a Cara Box exchange. We soon realized that we are very like-minded when it comes to parenting and babies and will email each other often with thoughts, rants, and to ask for advice. She has two adorable kids, loves to travel, and shares lots of recipes that even I can manage! If you could travel anywhere, where would you go? This is a very difficult question for me to answer because there are so many places I would like to go! So, I will just say my top five: Buenos Aires, Turkey, Cyprus, Bermuda and Antarctica. Where have you previously traveled that you loved and would return to? London and Rome. London is my absolute favorite city in the world and I would love to live there. Do you have any upcoming travel plans? Sadly no. Not unless it’s for work. Go visit Holly and tell her I sent you!